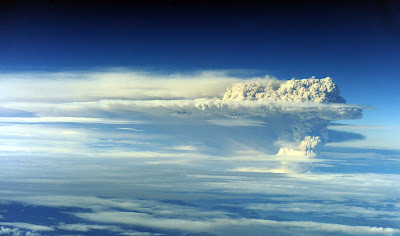 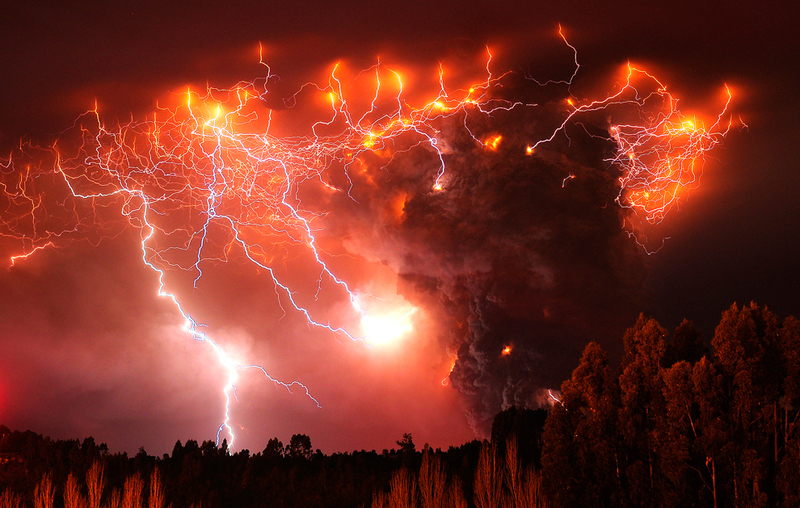 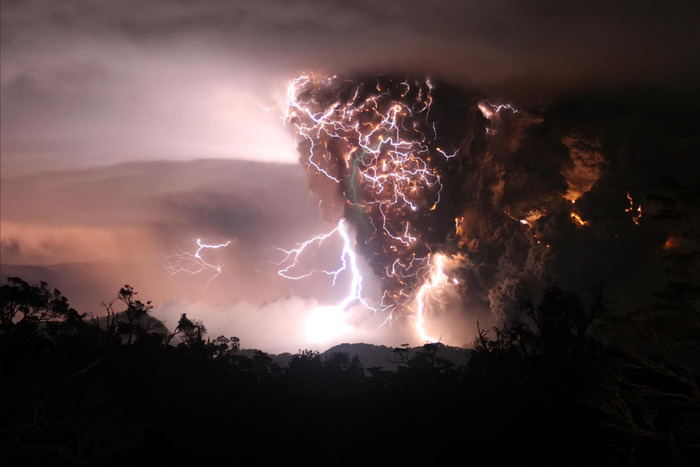 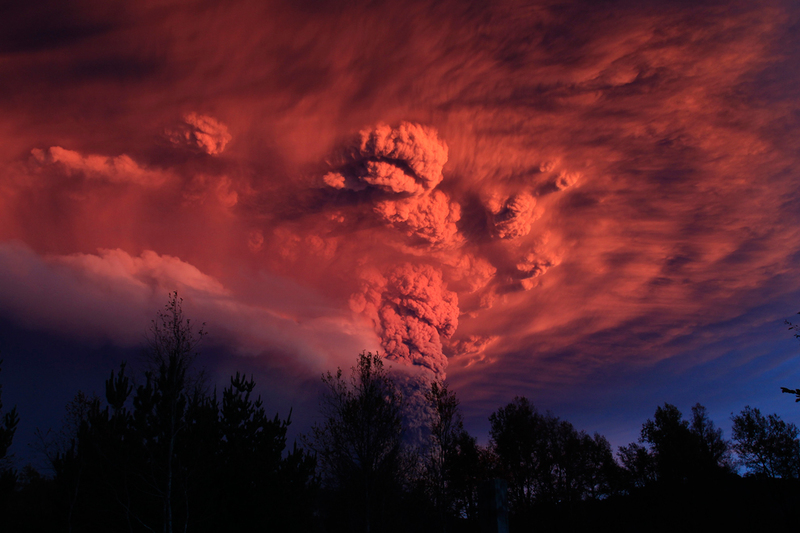 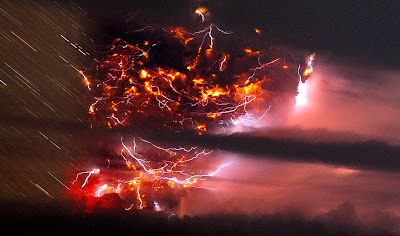 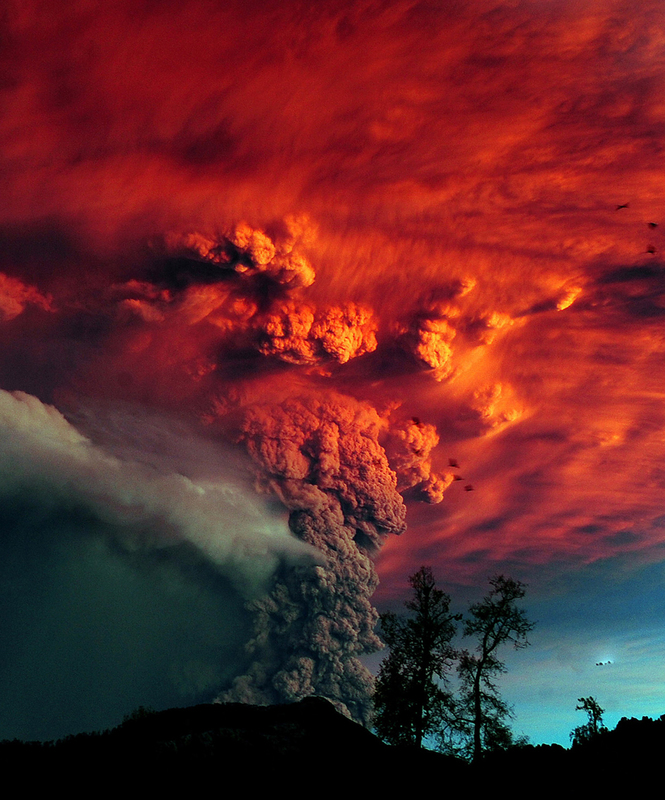 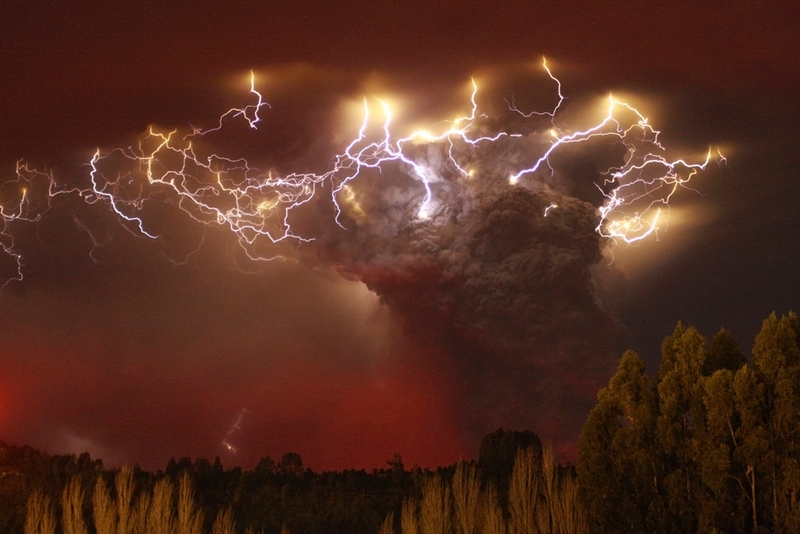 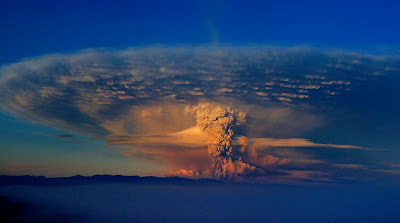 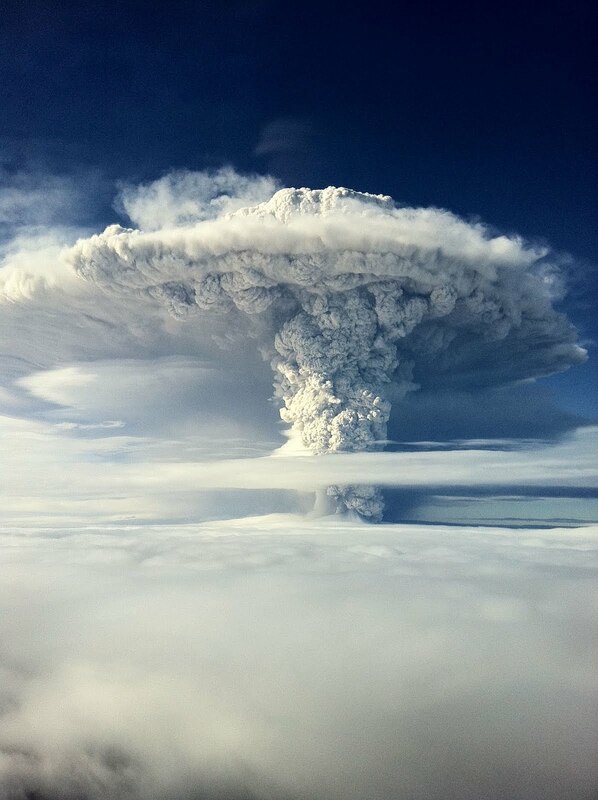 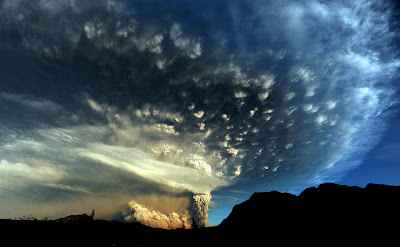 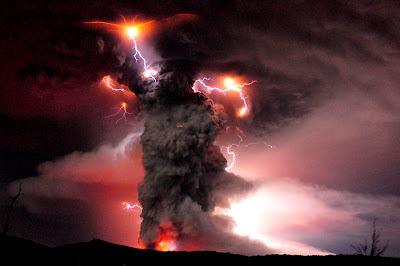 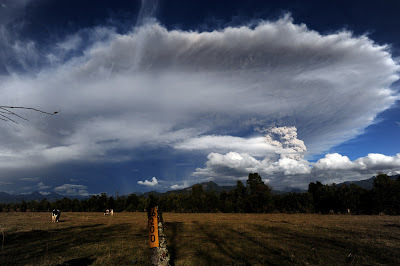 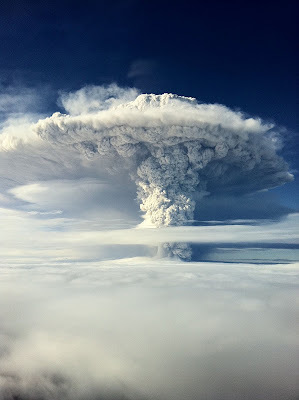 A plume of ash, estimated six miles (10km) high and three mile wide is seen after a volcano erupted in the Puyehue-Cordon Caulle volcanic chain, about 575 miles (920 km) south of the capital, Santiago June 4 2011. 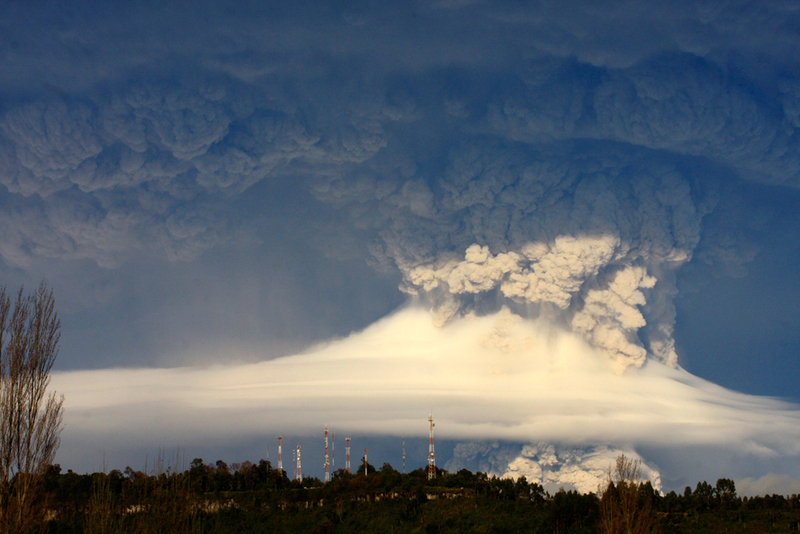 Ash covers the landscape and thousands of people were evacuated from the surrounding rural communities. 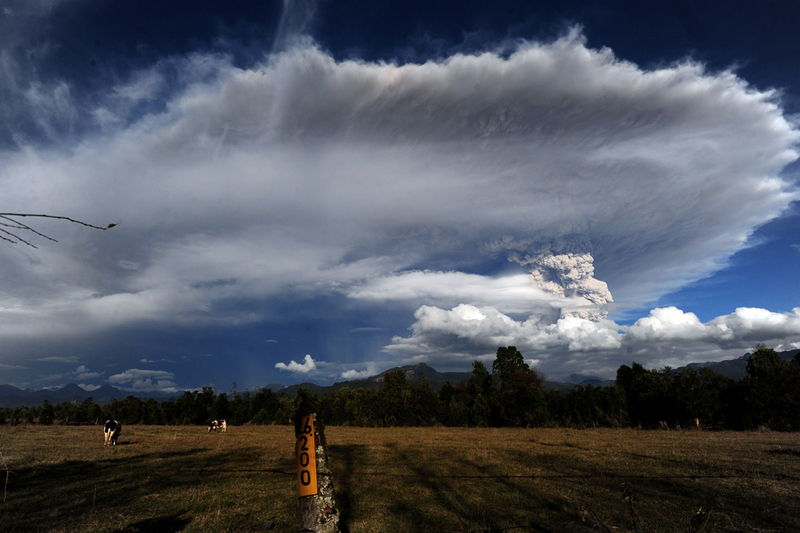 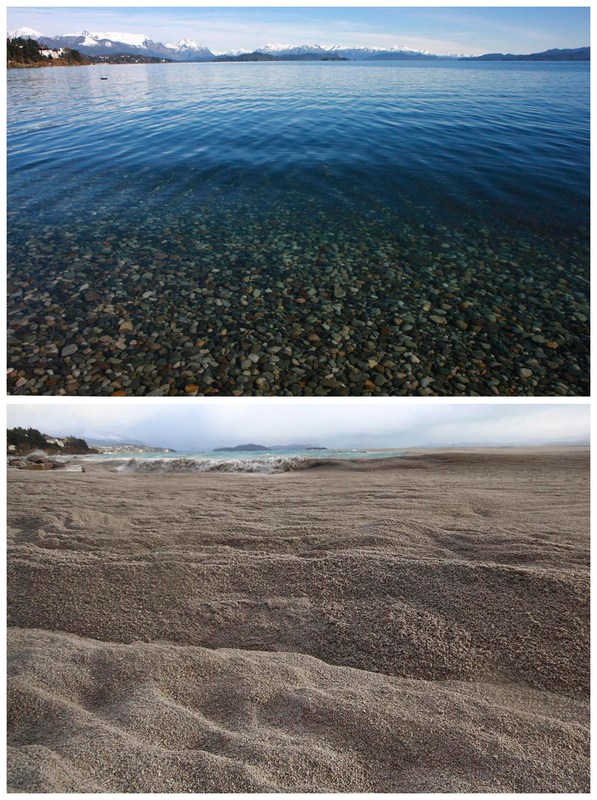 The volcano, which hasn't been active since 1960 when it erupted after an earthquake, sent its plume of ash 6 miles high across Argentina and toward the Atlantic Ocean.